I can't tell you how awesome it feels to review a real "post-black metal" album. It seems that, over the past few years, the term that was used to classify bands like Arcturus, Ulver, Solefald, and Sigh is used to classify black metal bands who use post-rock elements as a crutch to hide otherwise forgettable melodies. Chances are someone who had never heard Arcturus (wrong) noticed some band's post-rock and black metal elements and thought, "Post-rock...black metal....post-black metal? Genius!" The rest is history. With the re-connoting of post-black metal came a steep decline in chaotic, avant-garde inspired bands, but the few like Smohalla have kept the flame alive. With their long-awaited full length, the magnificent Resilience, Smohalla lays absolute waste to the experimental underground. A meditation in simultaneous stylistic sound collage, at any given moment one might catch sonic glimpses of Romantic-era classical music, trance, 1950s alien movie soundtracks, jazz, and the ever-present metal base. Each listen of the heady, yet oddly catchy Resilience offers a new find, perhaps a layered electronic beat or a wild theremin track that was otherwise lost within the constant chaos with each new song. Resilience almost works like a puzzle, but the listener pieces it together over time. Never before have I listened to an album that yields so much discovery, and I absolutely love it. A chief complaint I've had with what I consider to be "post-black metal" is the overall "circus" vibe bands like Sigh use, but fear not, for there are no clowns here. Resilience, if anything, sounds like a metallic translation of one of my absolute favorite albums of all time, Ulver's genre-defying Perdition City (frontman Slo's clean voice even sounds a bit like Garm's!). 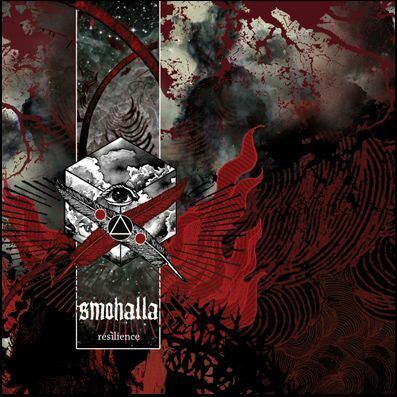 The jazz noir-oriented, "urban" atmosphere utilized by Smohalla on this album gives off an air of class, which is a quality many experimental metal bands seem to avoid. what's wrong with a black metal circus? Sounds like fun to me.